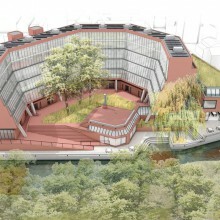 site, has required an innovative approach. 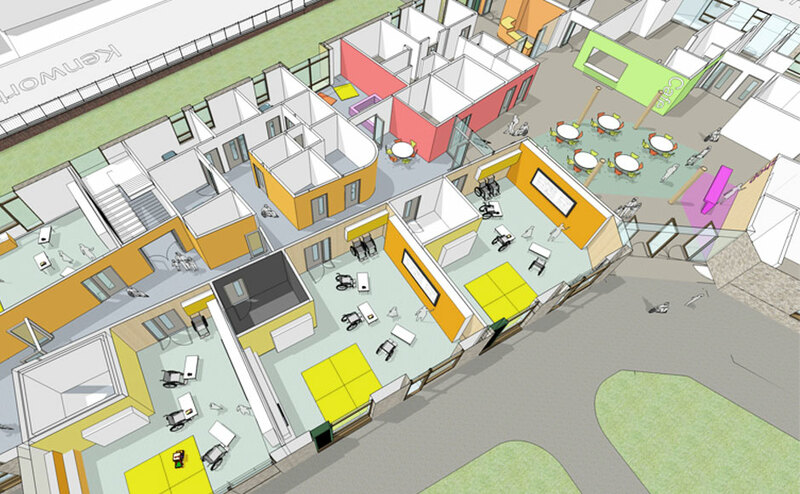 building is divided into five learning clusters for different age groups. 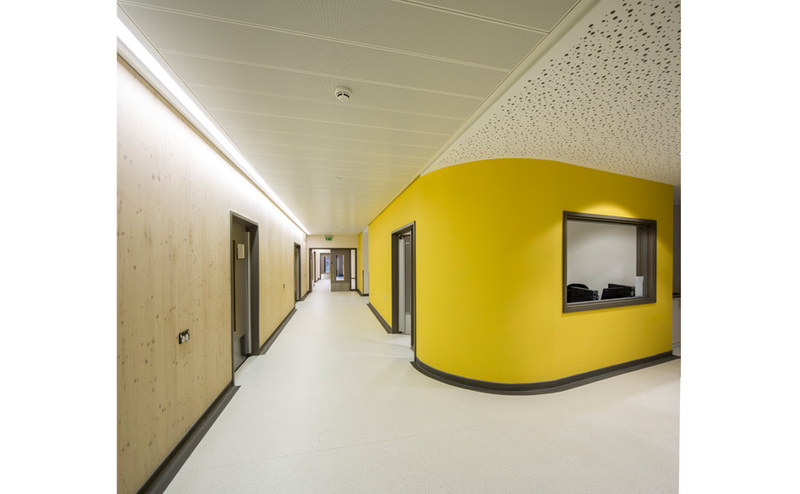 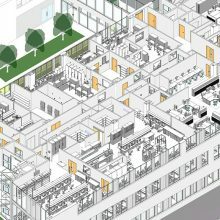 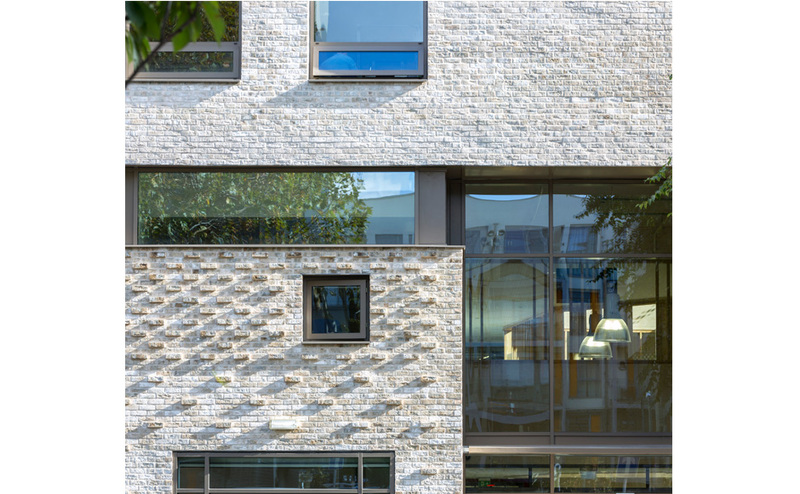 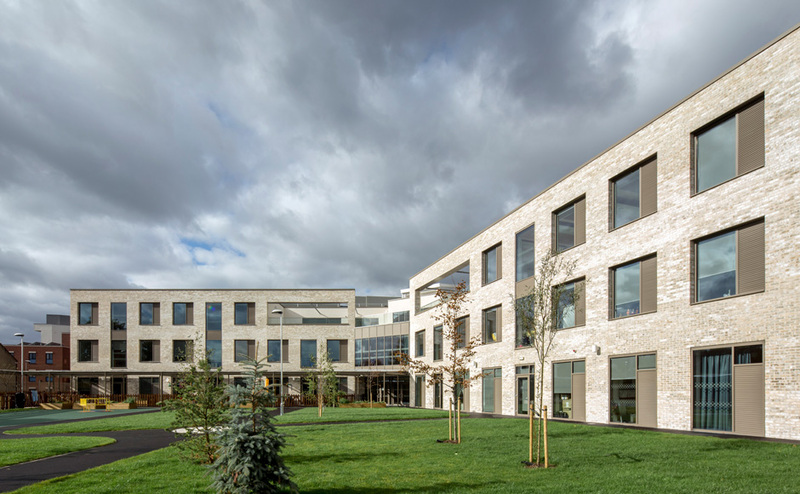 Each cluster enjoys a front door accessed from a central lightwell and accommodates dedicated classrooms and support rooms. 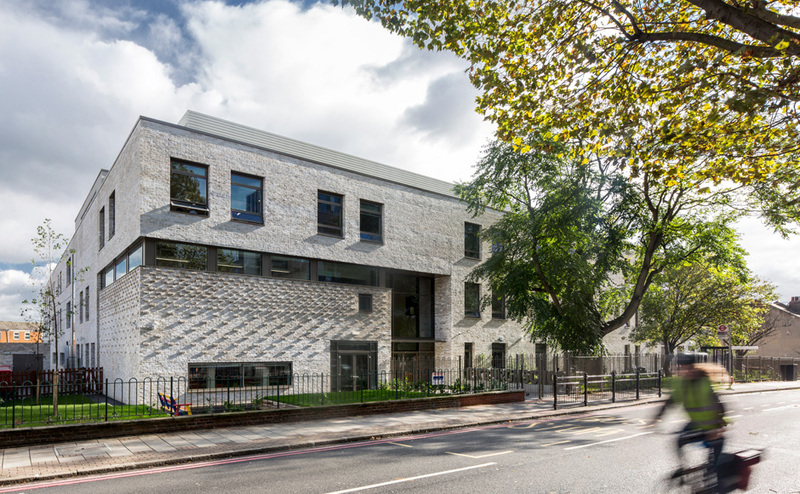 A main visitor entrance located on the corner of Kenworthy Road creates a strong civic presence. 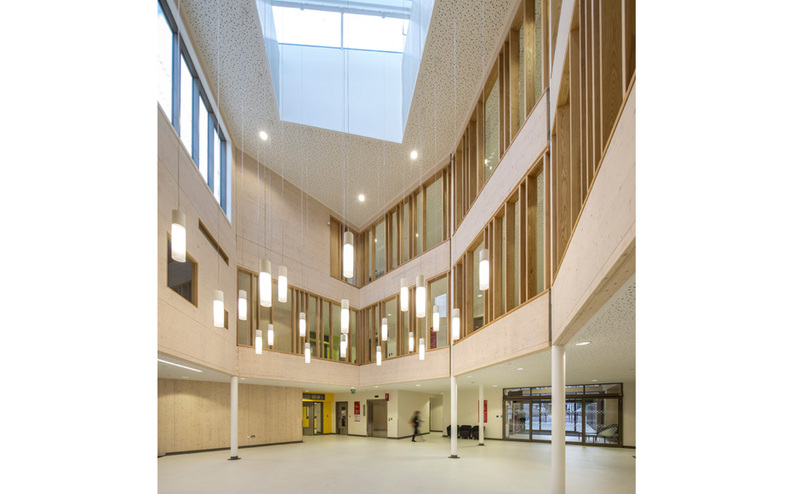 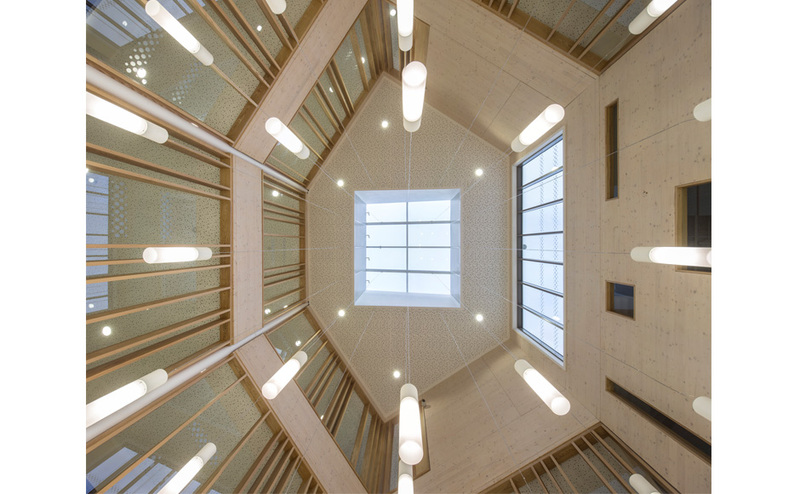 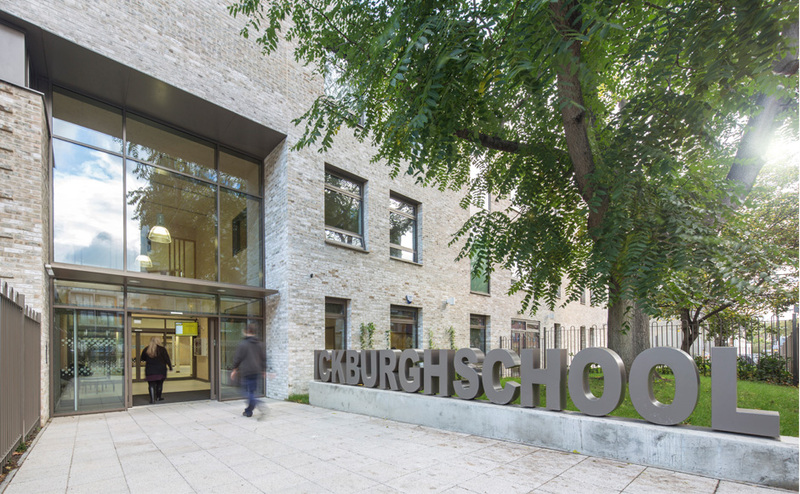 A central triple height top lit atrium space forms the social heart of the school. 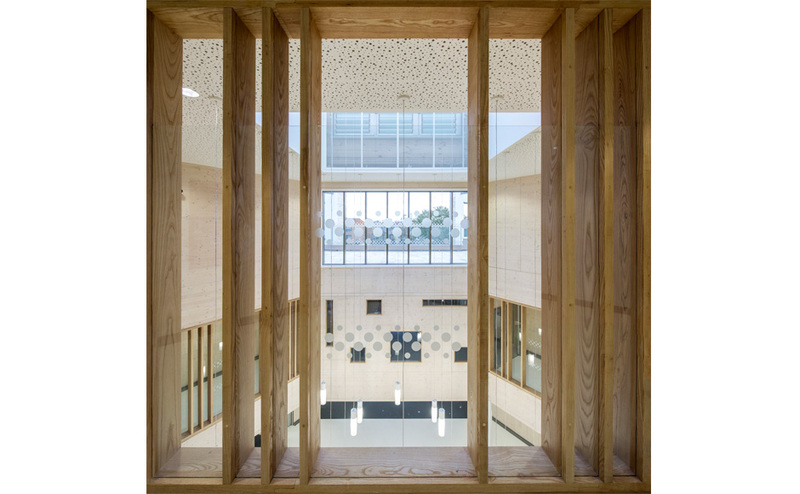 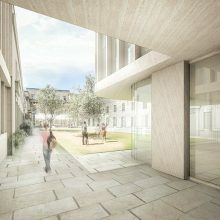 The building is constructed using a Cross Laminated Timber (CLT) which has not only provided programme savings but also a highly sustainable, low carbon building. 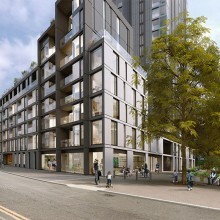 The CLT construction acts as a natural carbon store and when compared to traditional methods of construction is equivalent to taking 130 cars off the road each year for the next 20 years.